This month’s LightFair conference in San Diego will be another measuring stick for LED lighting. It’s the sixth year since the show turned all-LED, pushing every other lighting technology off the convention floor. Our engineering team will make their annual trip to walk the show, investigating the latest products and partnership announcements and considering what’s next based on futuristic OLED displays. Both businesses and consumers are adopting LED, Home Depot shelf-space for incandescents, halogens and CFLs is shrinking every month and even GE has exited the CFL business. While LEDs are still higher priced, they’re the cool, energy efficient iPhone vs. a land-line rotary phone. Older lamps look more and more like VHS tapes. Last month I visited a Harvard Business School sustainability class discussing an HBS case study written on Groom Energy. On my way to the auditorium I passed a hallway fixture with a partially failed Philips Endura LED A lamp. Ironically, it was the same lamp we had recommended as a holiday stocking stuffer back in 2012. The HBS facilities team had unknowingly purchased a product that was later subject to a large recall by Philips, due to a “shock hazard.” Hmmm. Perhaps as a testament to how far we’ve come, even these product recalls and premature, out-of-the-box failures aren’t scaring away today’s LED consumer. As the market was kicking off in 2010, our first Enterprise LED Lighting report highlighted LED lifespan advantages, but obviously lacked actual performance data to prove it irrefutably. Back then our engineers spent a great deal of time explaining third-party estimated lifespan test results for LED chips (LM80) and fixtures (LM79) to our customers. Early adopters needed this coaching to get them comfortable with the risk. Today customers can lean more on real performance experience and the utility-sponsored Design Lights Consortium for DLC ratings on LED products. But our engineers still need to help corporate managers overcome some level of PTSD from past lighting technology failures. In the 1990s, as the world shifted from T12s with magnetic ballasts to T8s with electronic ballasts, many companies experienced failures and recalls from 1st generation products. While consumers remember the harsh color and short lifespan from curly screw-in CFLs, corporate managers remember pin-based CFLs in office ceiling cans melting from excessive heat. They remember electronic ballasts failing every time there was a thunderstorm. Store managers remember 10% of the lights being out after a new “longer life” lower wattage HIF fluorescent tube had a recall. It wasn’t just off-brand manufacturers who had the problems. GE, Sylvania and Philips all had their own fair share of replacements and recalls. Ironically, their memory of brand players supporting warranties during failures is one reason many corporates today are biased toward buying only name brand LED products. Those who had purchased non-brand products paid the price – with less than wonderful warranty support during recalls and failures. Not surprisingly today’s “lower cost” Chinese LED products bring them a scary flashback feeling. Practically our team needs to manage through occasional LED field failures and recalls. However, we’re currently seeing only slightly higher quantities and percentages to what we saw in the pre-LED world. 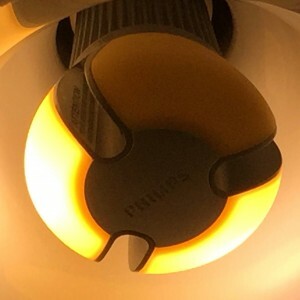 A few months ago we were installing a large quantity of LED lamps and fixtures at a destination hotel and had a batch of thousands of bad lamps leave our team scrambling to quickly find an alternative. The products were supported by the manufacturer, but we were in mid-install, so lead times for a stocked alternative were the challenge. In June of last year CREE announced a recall of 700,000 T8 LED lamps due to a “burn hazard.” Within a few months Sylvania had uncovered the same issue, and announced their own T8 LED recall. Some newer players like Lunera are being incredibly forthcoming as they have hiccups, which bodes well for their longer term prospects as a newer player in the LED business. Corporate managers are not naive – they’re used to some level of failures with any new product. Obviously when making investment decisions they factor in an expectation that service providers and manufacturers will stand behind servicing their warranties. So the biggest change we see in 2016 is a noticeably lower stress level that this expectation will be fulfilled. The other day I was annoyed at having to change out a failed 1st generation CREE A lamp outside our home’s garage. Rationally I knew it was an early market blip, yet here I was replacing a solid-state device that was supposed to last longer than our house. I had to laugh when I looked down at my 11-year old daughter watching me on a step ladder as I unscrewed the failed bulb, instinctively shaking it next to my ear listening for a non-existent filament rattling around the glass chamber. With universal LED adoption, it’s something she won’t be seeing from anyone in her generation.